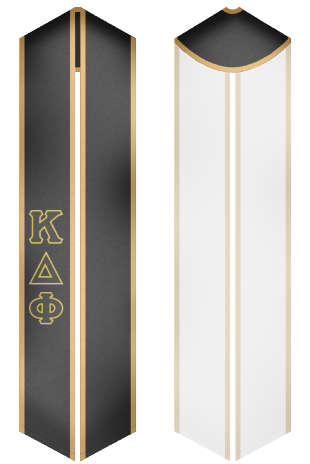 Kappa Delta Phi was founded in 1900 at Bridge water State University by like minded men who wished to create a society that would empower men to achieve great feats. The fraternity has 12 chapters and 5,000 members. The society has a lot of famous alumni and members are held in great respect throughout society. Graduation stoles and sashes on offer provide young graduates the chance to flaunt their new found success and acceptance into brother hood. 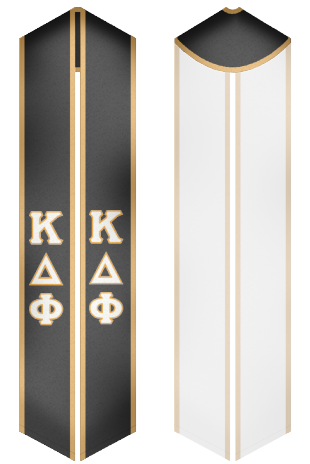 Several options are available to choose from and our new online design tool can be used to make your sash even more prominent among others.